A distinct variation of the President Day-Date is the barked ref. 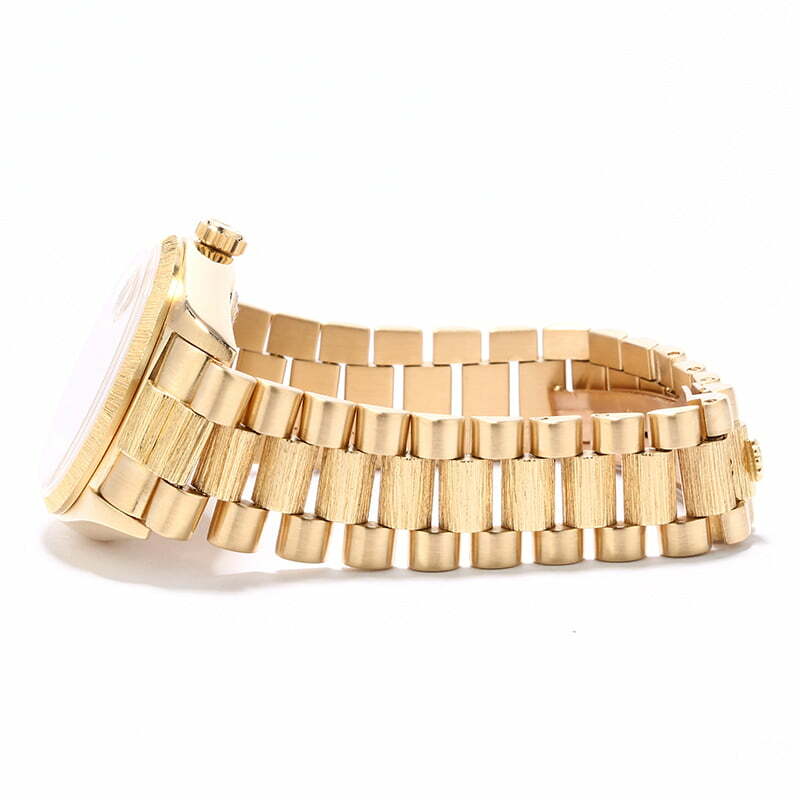 18078, which features a bark-textured bezel and matching center links. This particular finish creates dimension and complements the retro style of the vintage reference 18078 well. 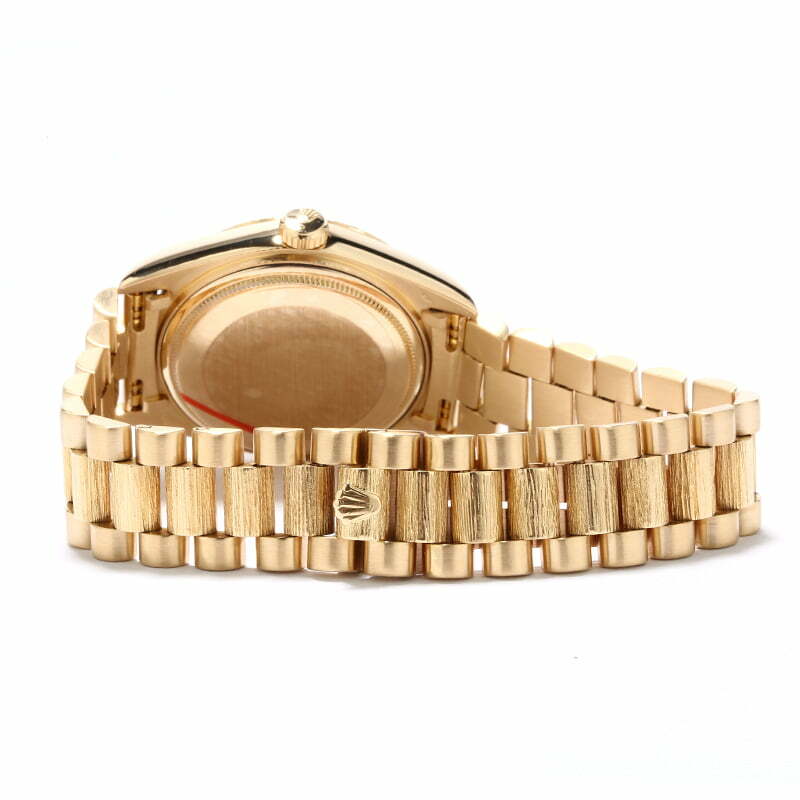 The Day-Date itself is closely associated with opulence and high-class, offering a finish that is always crafted from precious metals as well as a luxurious President bracelet with semi-circular links and a hidden Crownclasp. The dial also features both a date display as well as the day spelled out in full, features which are built into the innovative calibre 3055 perpetual movement that beats within the case. 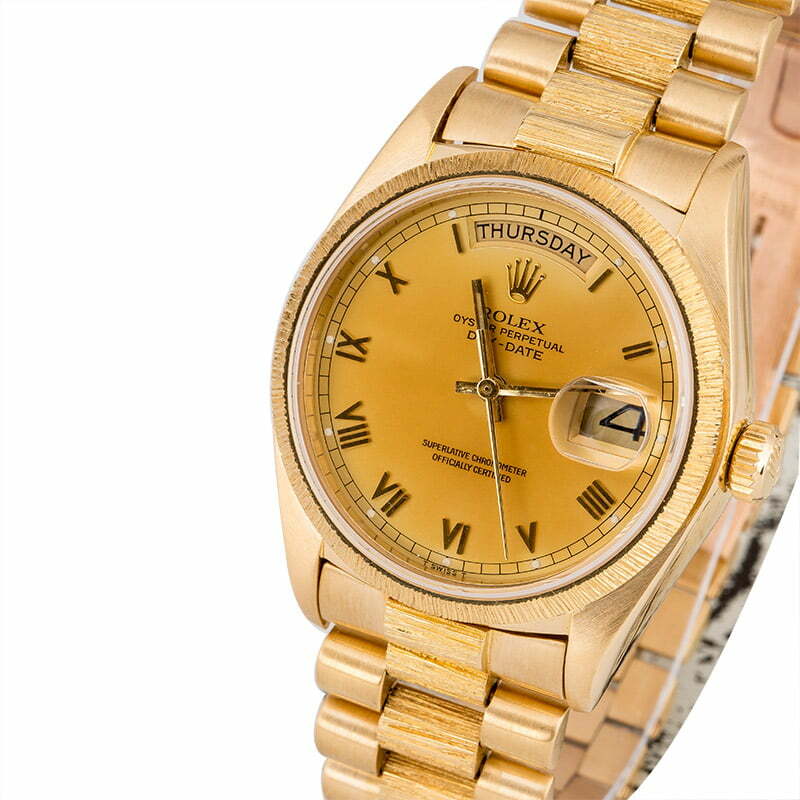 The gold used Rolex that is offered here today will appeal to mid-level collectors who seek a bold investment piece that will hold its value well.